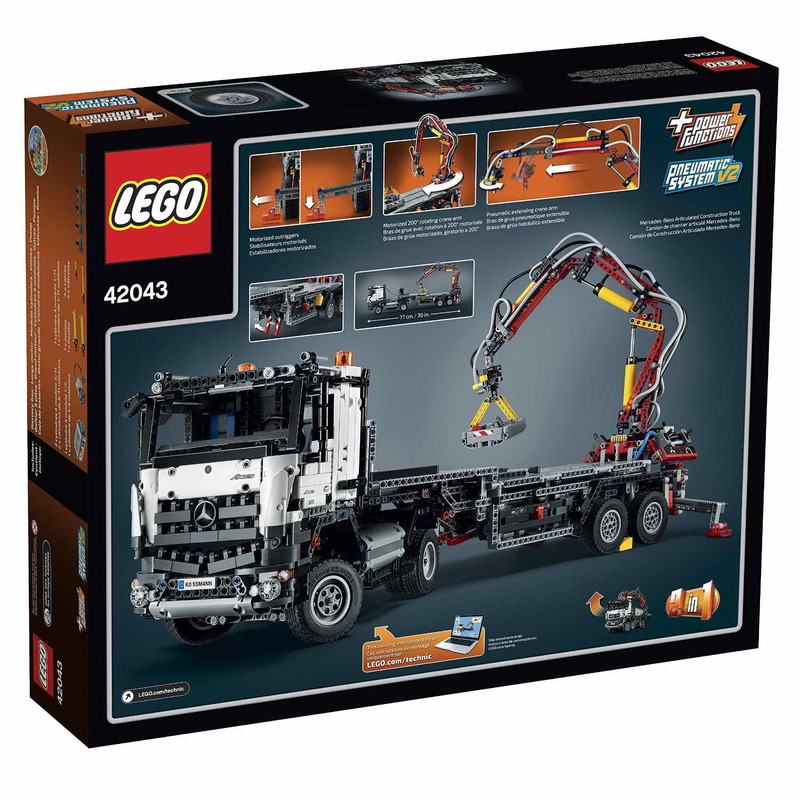 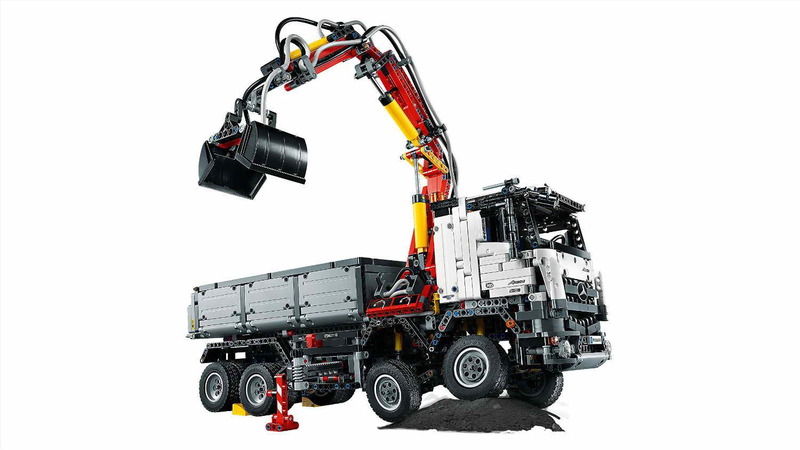 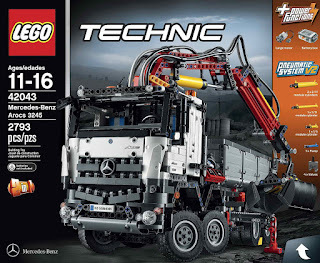 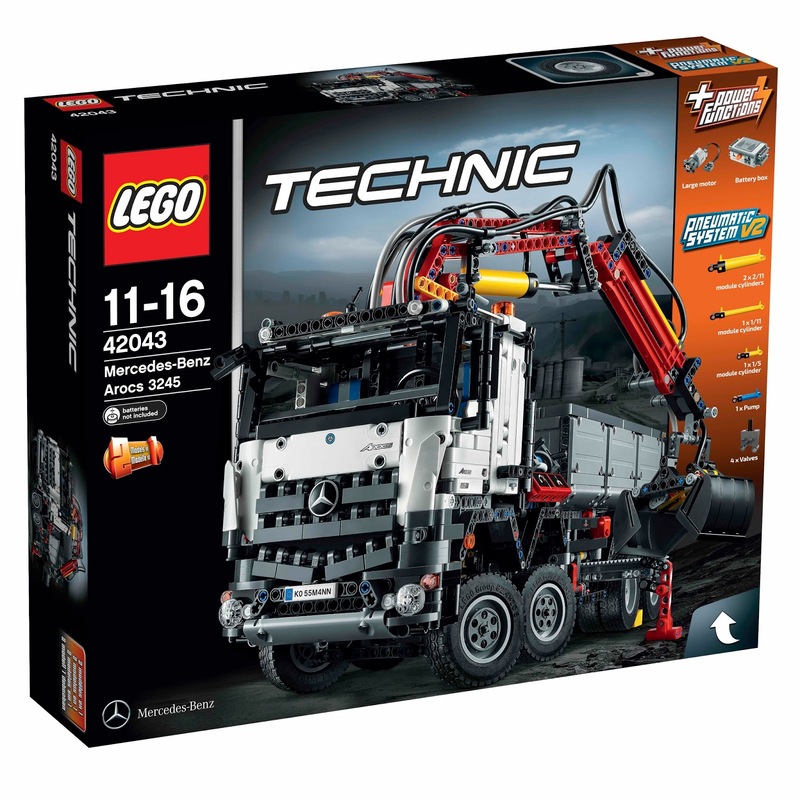 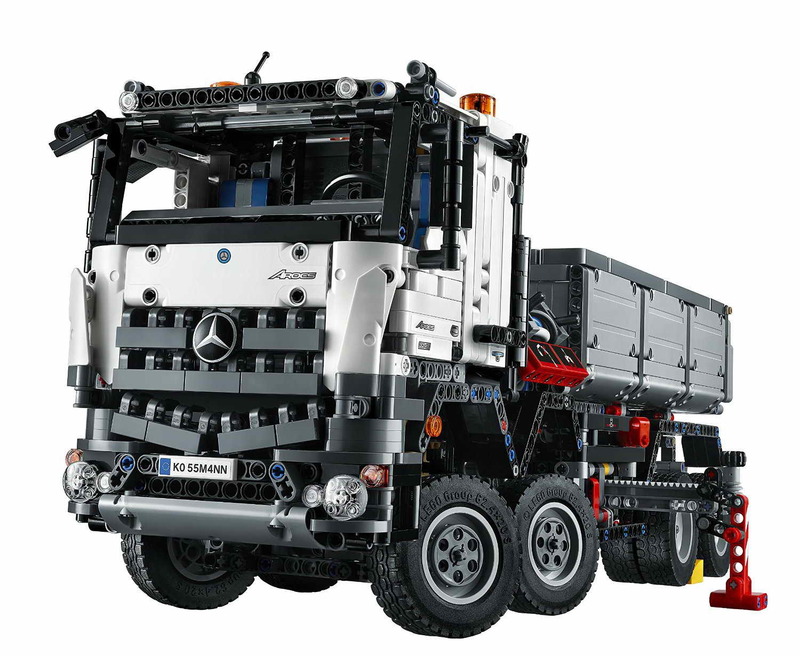 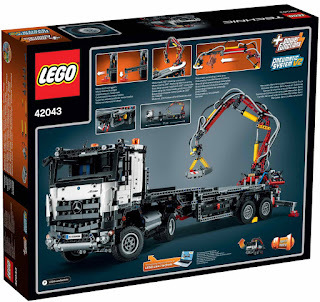 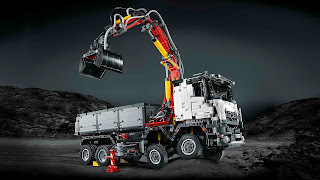 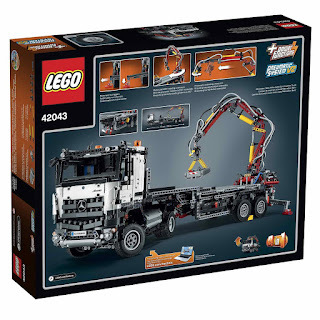 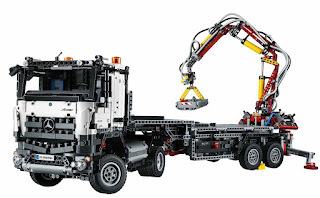 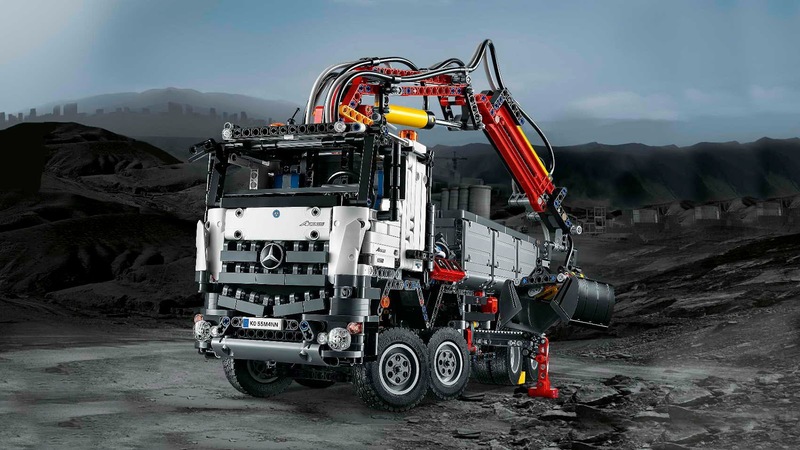 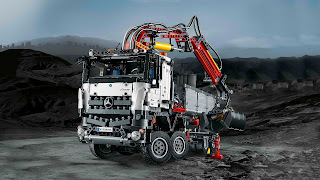 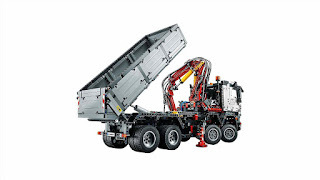 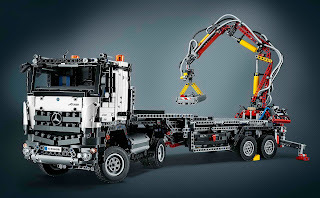 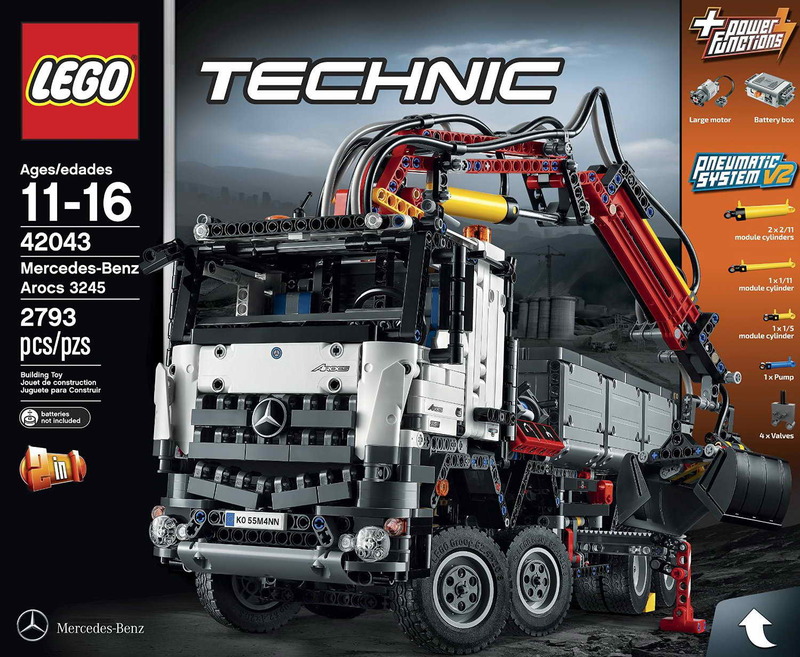 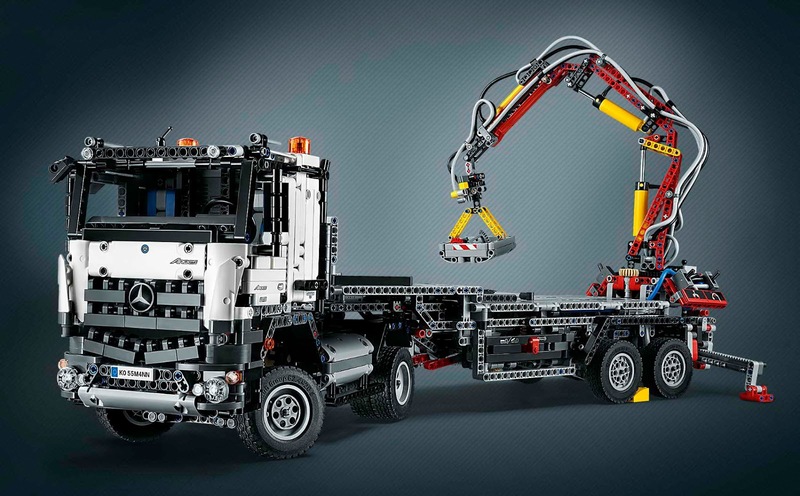 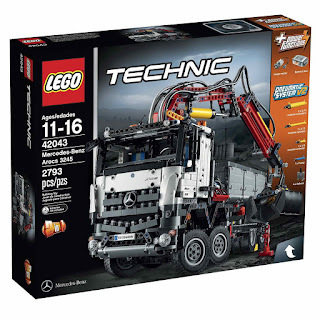 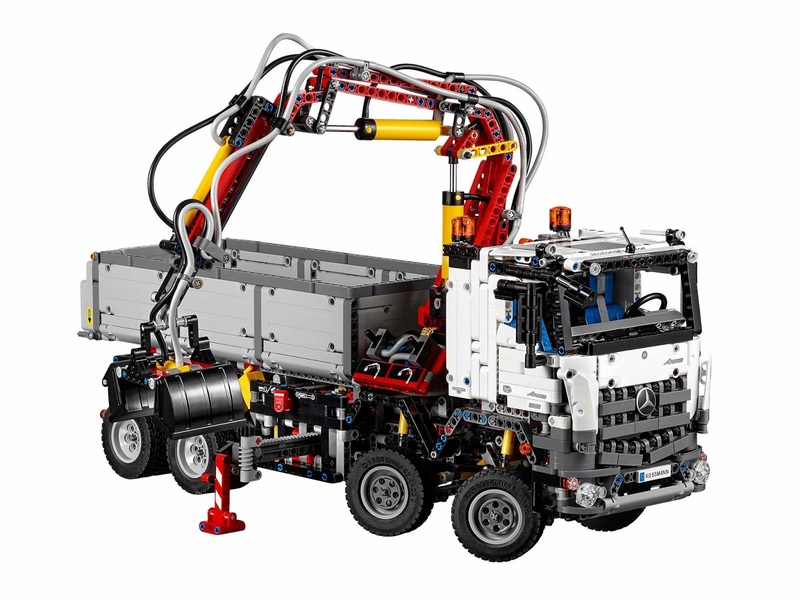 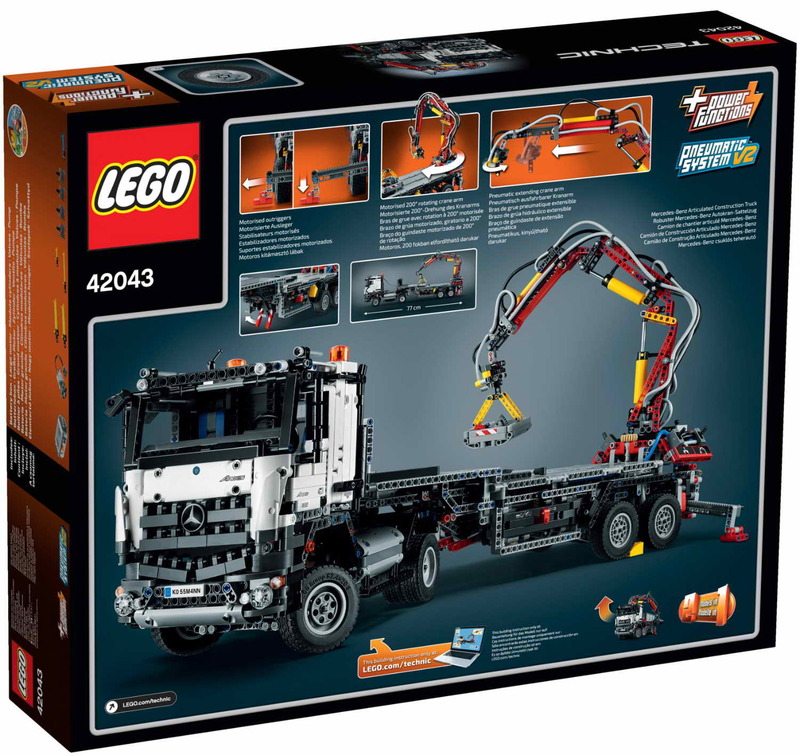 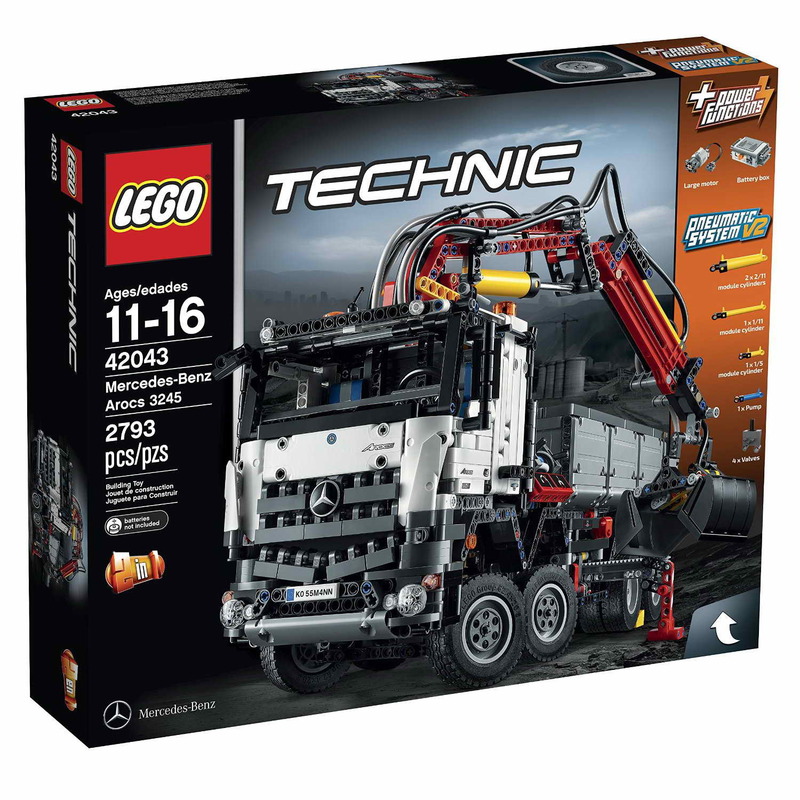 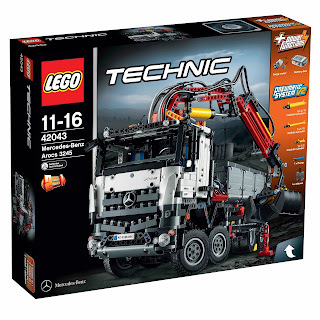 main model is a mercedes benz arocs 3245 truck. 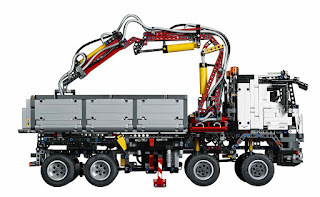 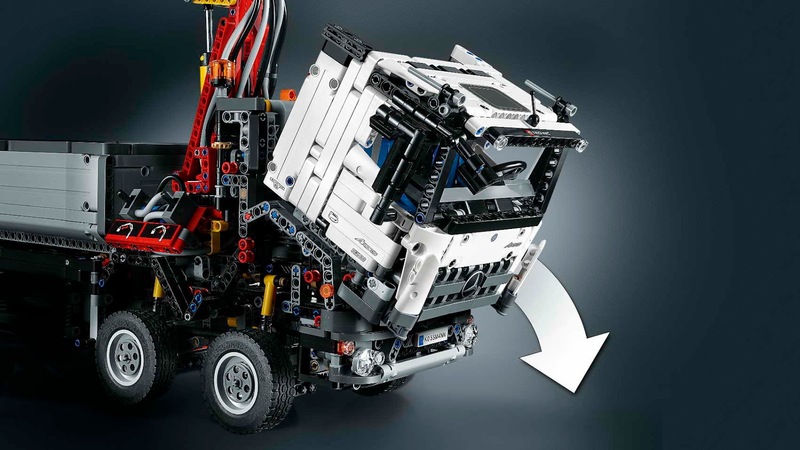 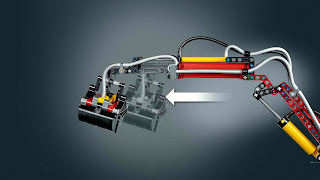 the truck has a large motor, an advanced pneumatic system for: extendable outriggers, an automated crane arm and grabber, a workable tipper body, 2 suspended front axles with twin axle steering, 2 suspended rear axles with double wheels and 2 differentials, fully independent suspension, a 6 cylinder engine with movable pistons, openable doors and tailgate and a 3 pointed mercedes benz star logo. 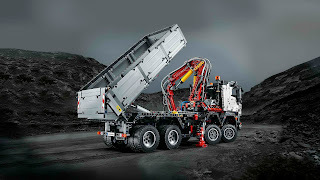 can be built into a mercedes benz articulated construction truck. 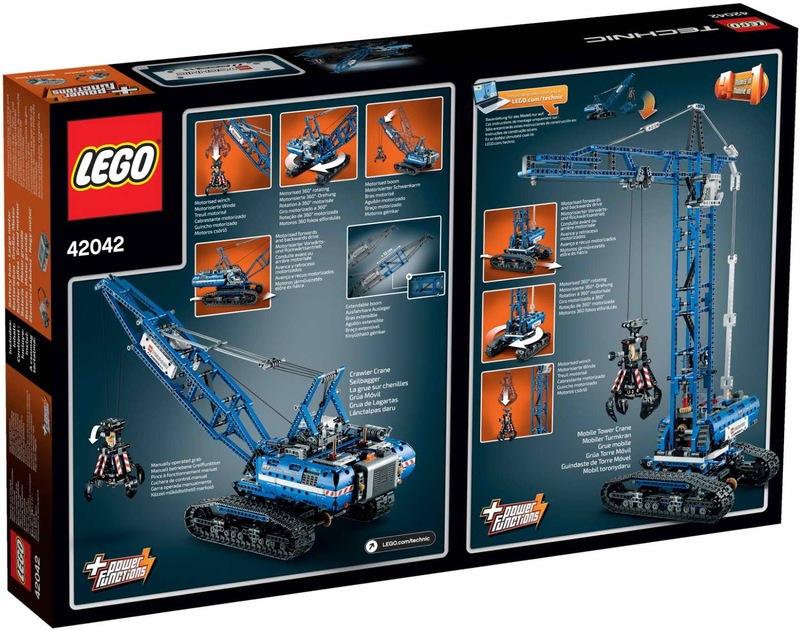 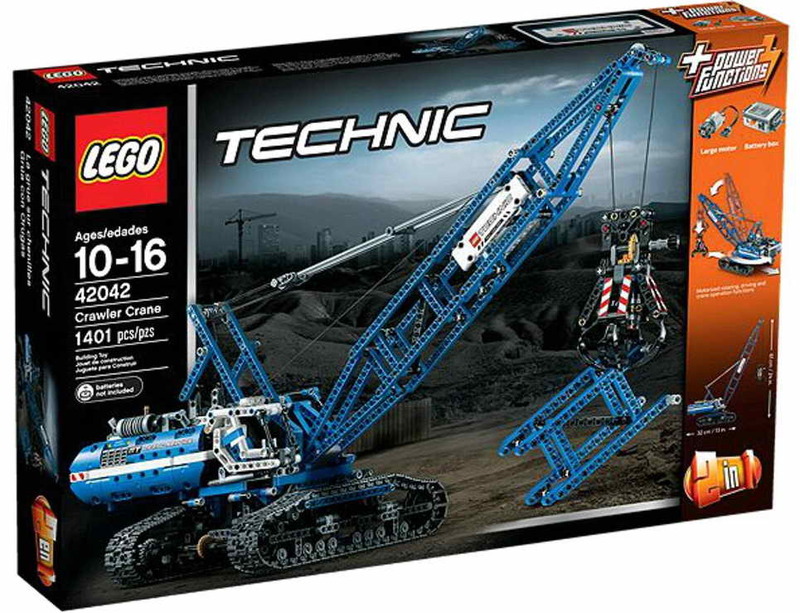 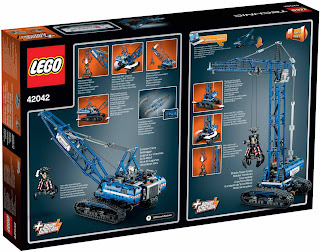 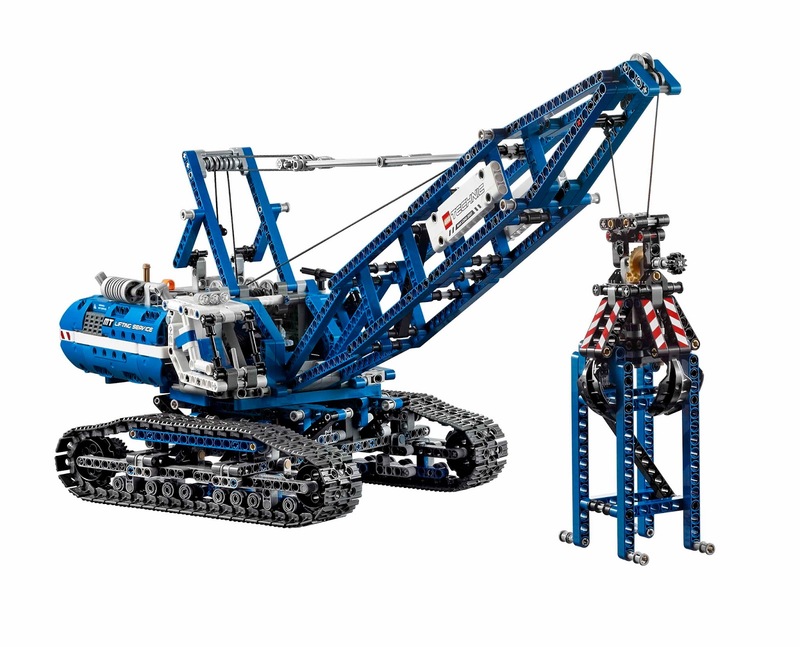 main model is a crawler crane. 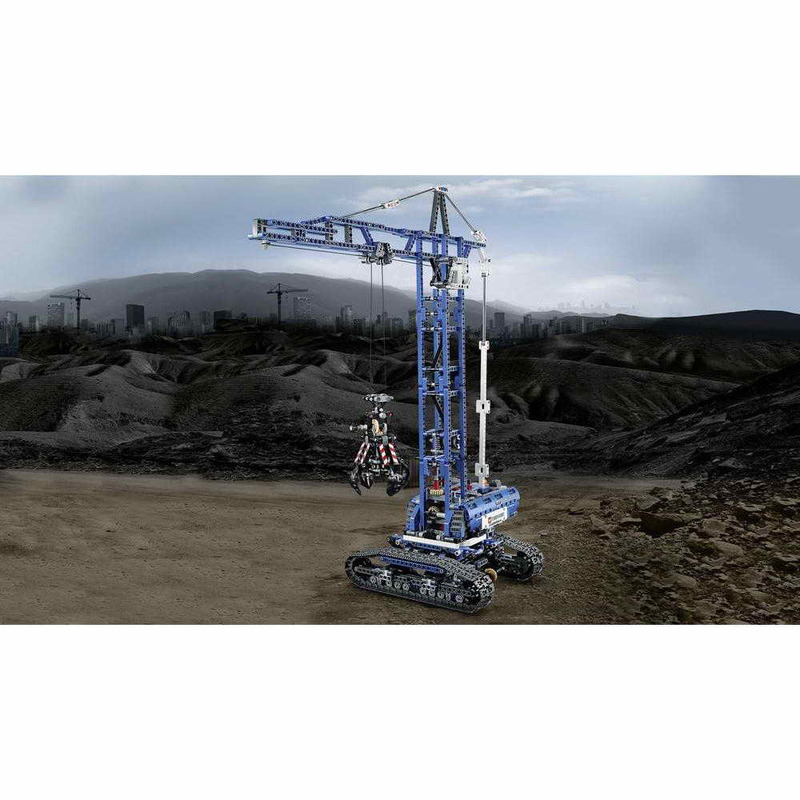 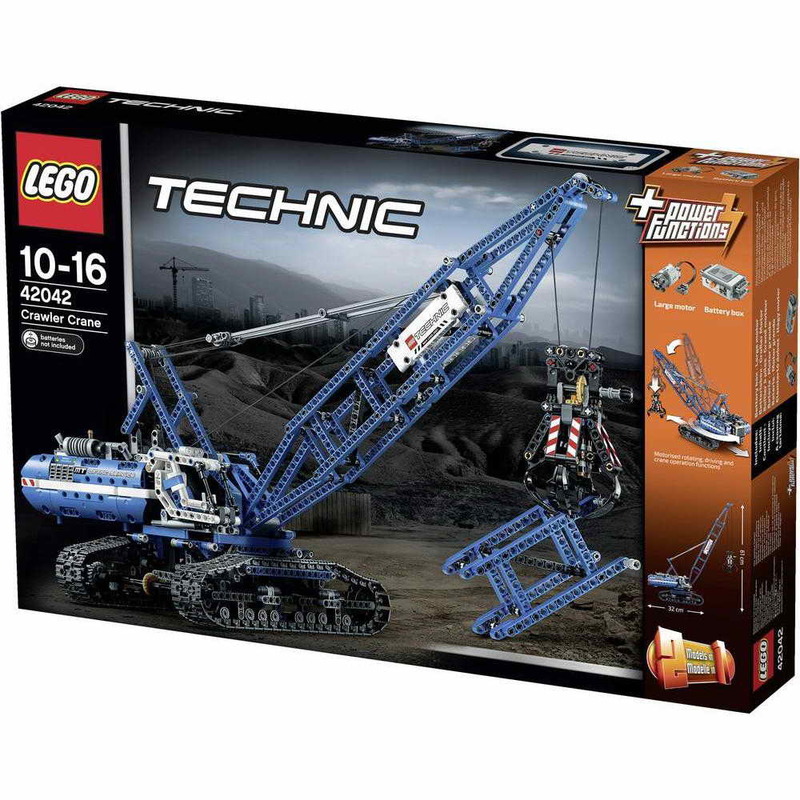 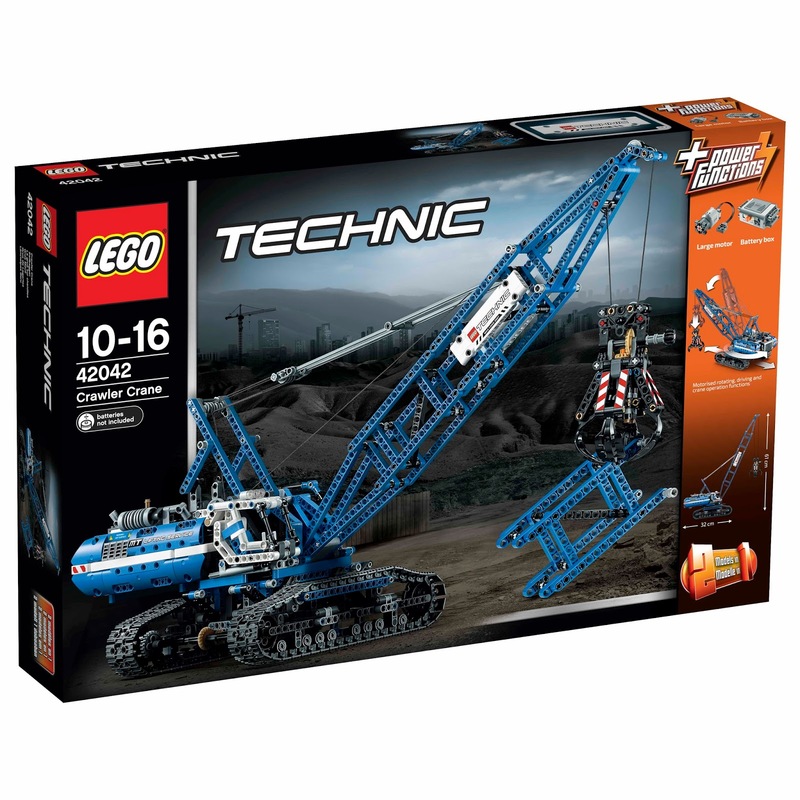 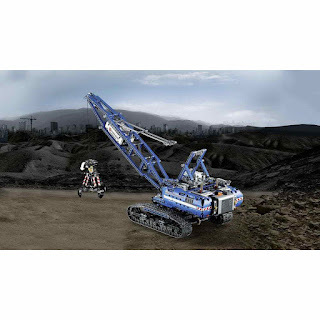 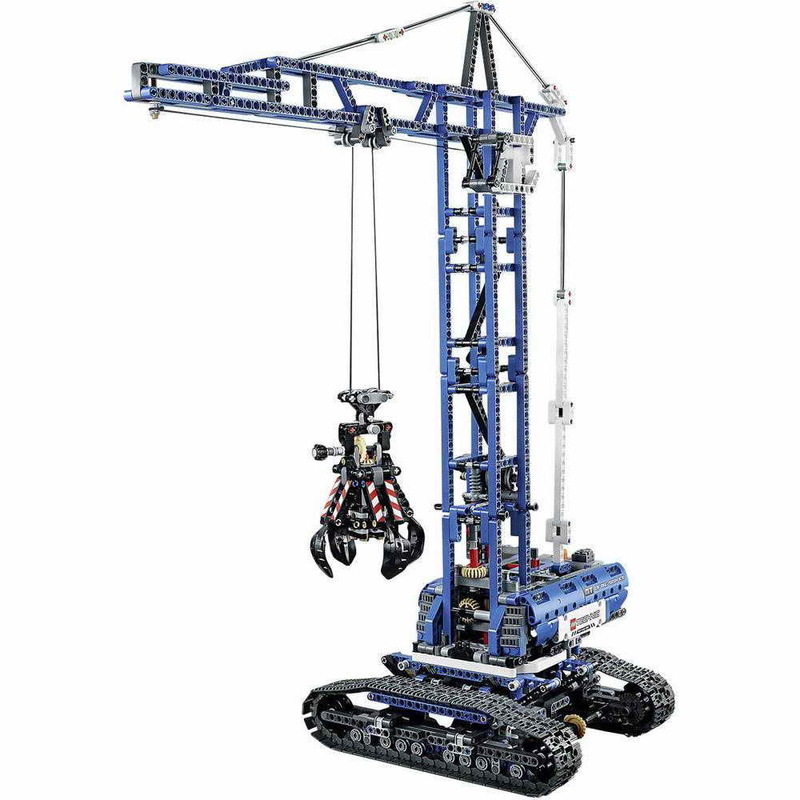 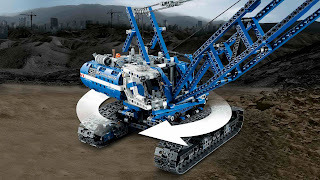 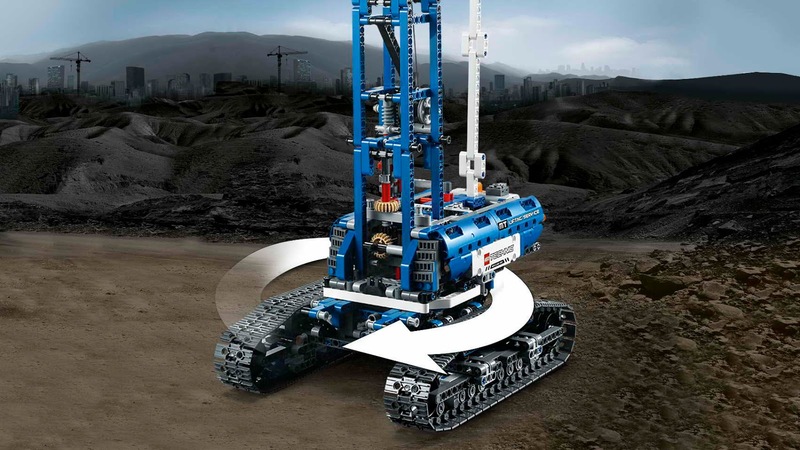 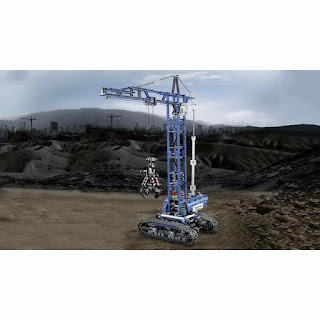 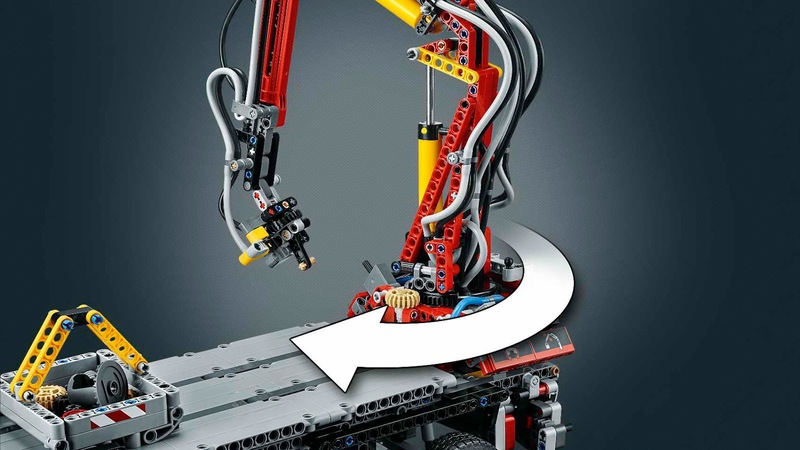 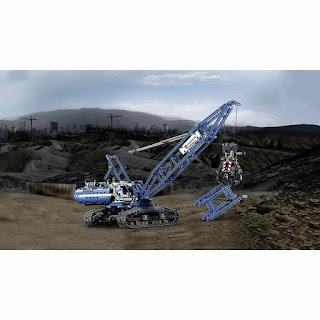 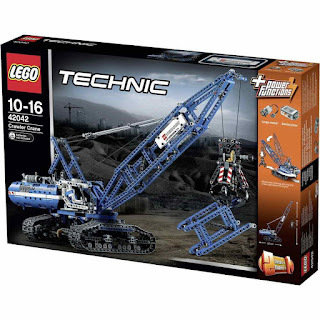 the crane has a motorized boom, a motorized winch, a motorized rotatable superstructure, motorized caterpillar tracks, an openable claw and a tiltable cab. 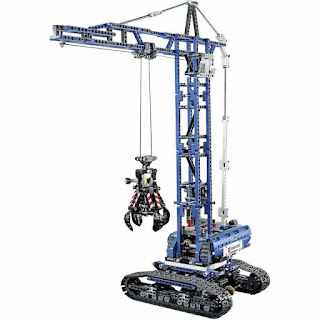 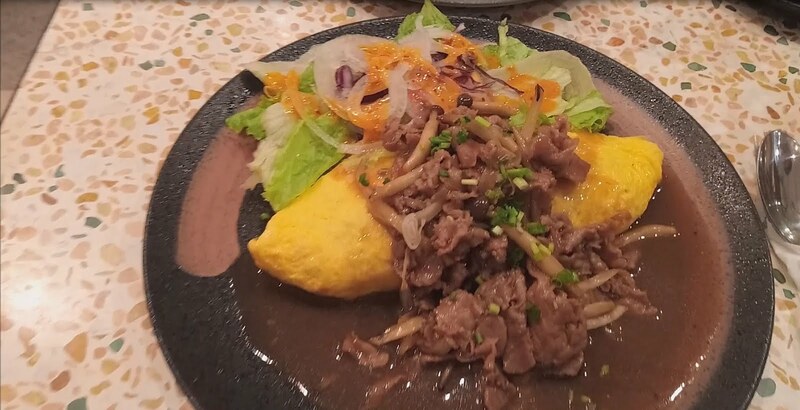 can be built into a mobile tower crane.